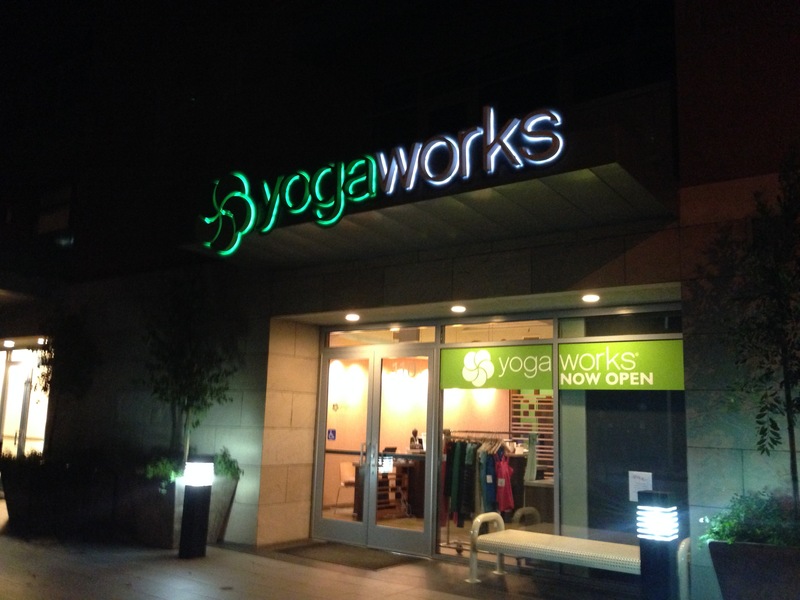 I went to a 6am Intermediate Yoga class. I slept really bad last night and my neck is wreck. I think I hate my pillow. Anyway, that made waking up early no problem. Lindsay at the front desk was nice and Kerri the instructor was nice too. 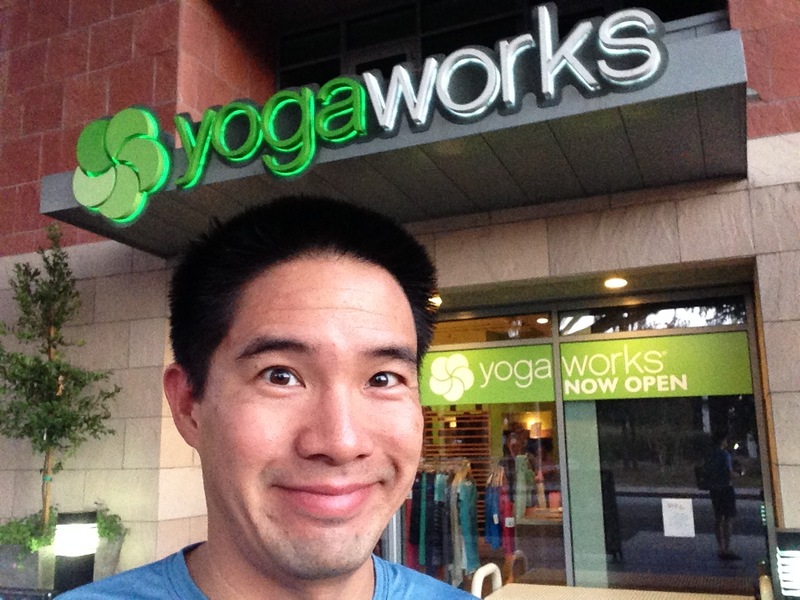 YogaWorks is a national chain. I signed up for the free week. They don’t list the prices so I have a feeling it’s gonna be extra pricey when the yoga advisor calls me later. I love yoga as an off-season activity. The stretching and core building are terrific. Plus the view is always great, wink wink. There is a regular crowd at 6am and they all know each other. 70/30 gal/guy ratio. More guys than usual; I didn’t feel like an oddball or perv. The lights were off during class with some electric candles glowing. The room is ground level with ceiling to floor windows. Since it was still dark outside, It felt like I was sitting on the corner of Green Street and St. Johns, which I was. The workout was great. My balance, however, is just sad. I teeter and shake a lot. We finished with some inversions. I forgot how great those are. Hand stands and shoulder stands. Both felt awesome. I headed over to RBAC to take a shower. I had a little bit more time, so I decided to hit the weight room for about half hour. I ran into PTC friend Scott. Dark and then not dark. Nice! You should replace your pillow. it’s on the list for the weekend.